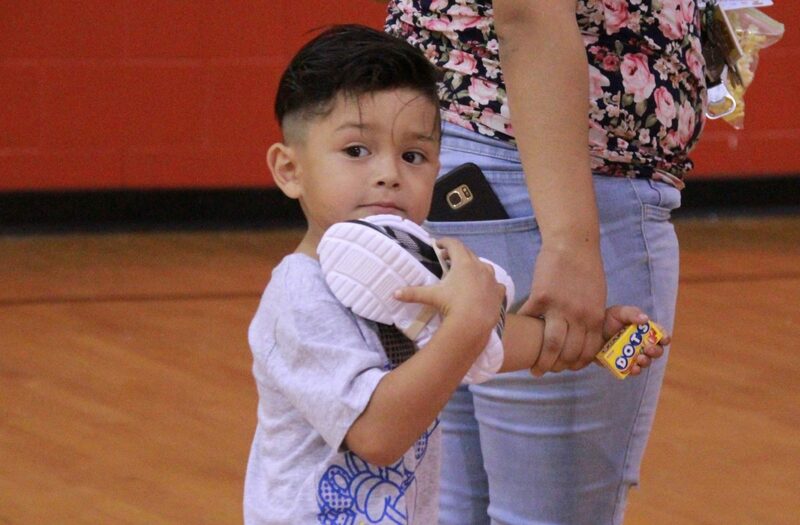 Jose Iracheta, 4, of Peñitas, holds shoes that were donated to him by the Buckner Family Hope Center in Peñitas on Saturday, Aug. 18. PEÑITAS — Thanks to the generosity of the Buckner Family Hope Center here, Dulce Luevanos, along with hundreds of other mothers, received free backpacks and new pairs of shoes for her school-age children on Saturday. Four years ago, the mother of eight would’ve been panicking around this time of year trying to find the money to make sure her children were ready for school. This is the sixth year Buckner donates supplies to children in the La Joya area. On Saturday, they distributed 400 backpacks and pairs of shoes, giving about 300 the week before. 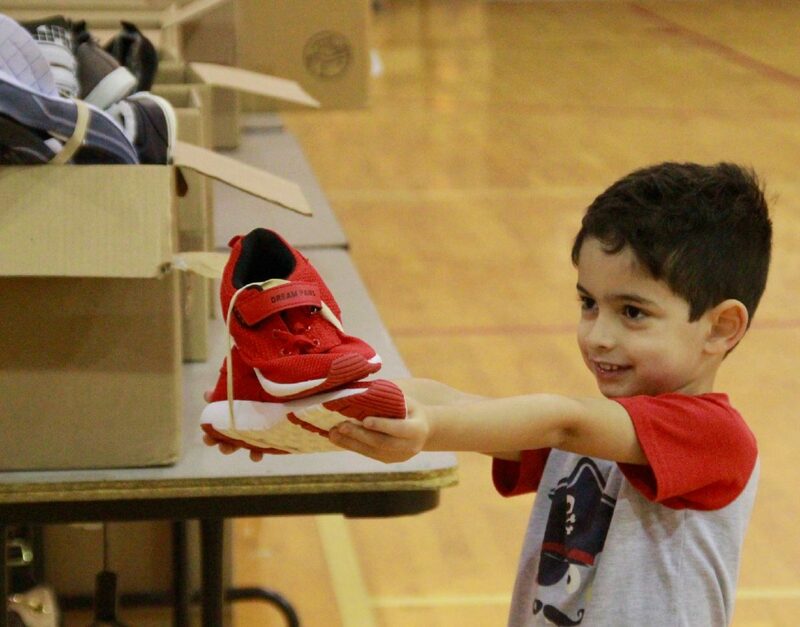 Caleb Silva, 4, holds shoes that were being donated by the Buckner Family Hope Center in Peñitas on Saturday, Aug. 18. Buckner is a nonprofit based in Dallas with a presence in 11 communities throughout Texas and six more internationally. The organization offers foster care services, senior living services and family aid. At Buckner’s Peñitas location, families can take classes for financial literacy or simply reach out for help with finances or legal services. Buckner can connect them with other organizations that cater to their specific needs. Often, the key to that is helping rid them of financial and external stress. That’s where events like Saturday’s come into play. Buckner employees spend much of the year raising money for back-to-school events across their sites. “Back-to-school ends (Saturday), so next week we’ll start thinking about 2019,” Silva said. Monica Skrzypinski, a gift officer at Buckner, seeks donations all year to fund events like Saturday among the other services Buckner provides. The families chosen to participate in such events are usually referred to Buckner by school districts; in this case, La Joya ISD. Though it isn’t a requirement, often families continue seeking services through Buckner after they’ve been helped. “Once they come and they see what we’re about, we’re able to engage them,” Skrzypinski said. Some families can eventually qualify to have a house built for them, courtesy of Buckner. In 2014, Luevanos was one of those families, and now she teaches classes at the hope center. She teaches other mothers how to make bows out of household items and how to save money with coupons.